The guys weren´t bored, anyway, because after some line-up changes, QUARK7 produced their first album « Fly Away » which didn´t get he attention it would have deserved. In 1999, they released « Once Upon A crime », again self-produced. Outstanding reviews from all kinds of magazines from Norway, Japan, England, Germany, Sweden and Brazil finally lead to a distribution deal with Black Cat. In February 2002, they locked themselves up in the Melody Studios in Paris to record their third album « Black Heart » - with the help of producer Didier Chesneau. At the same time, they signed a deal with Limb Music Products. « Black Heart » will be N°1 in Japan in 2003. 2003 : "Black Heart" became No.1 with the import disk chart in JAPAN ("BURRN ! July issue" ). N° 26 in June N° 1 in July N° 21 in August N° 30 in September N° 22 of Year 2003. 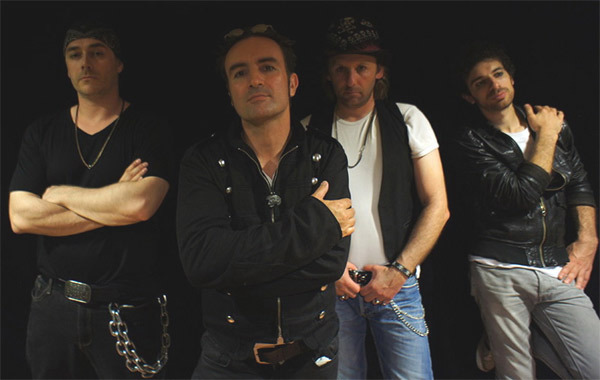 In 2009, the quartet are back with « Persecution », and signed a new deal with Escape Music. in 2014, With an impressive array of 13 new songs Invictus are ready to take the world by storm once again. A heavy song with massive groove, high quality sound and very contempory called « Hybrid ». All recordings available on this site are copyright 2000 to 2014 . All songs are copyright FITRZYK-ACARD. These mixes are freely available and not to be re-sold.